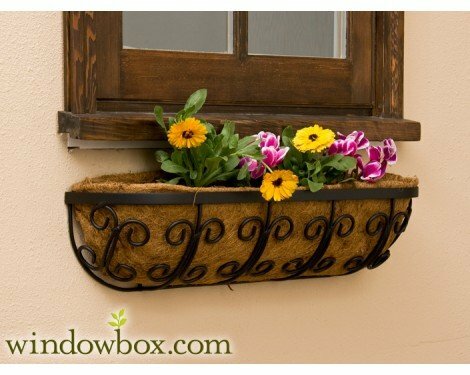 Mariposa Hay rack Window Basket makes a great addition to any fence, wall or window. Includes coir liner and pre-drilled holes for simple installation. Just add soil and your favorite flowers to bring beauty and color to almost any setting. Available in these lengths: 30", 36", 48". The length is measured to the outside of the basket and each window basket includes 1/4" pre-drilled tabs on each side for simple mounting. Includes Coir Liner, Mounting Screws Not Included, Custom Size Available. Includes coir liner and pre-drilled holes for simple installation.